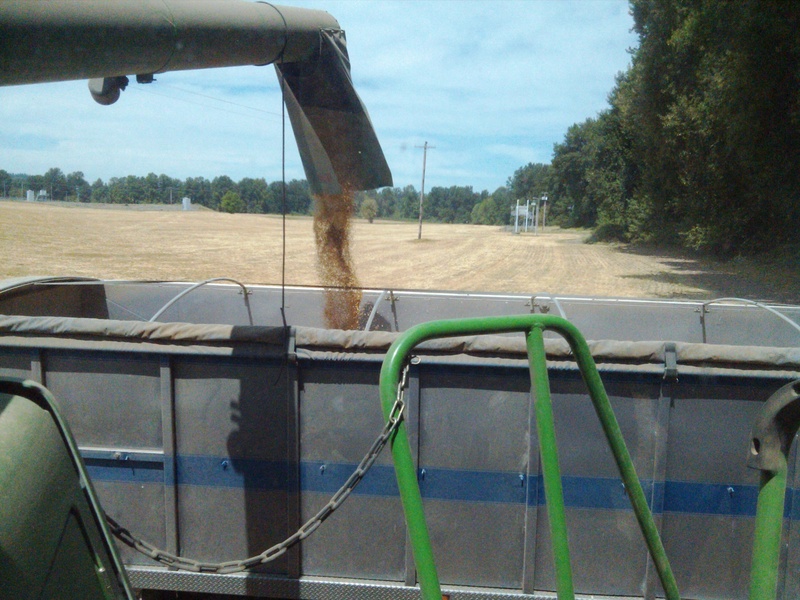 We’re done with summer harvest!!!! 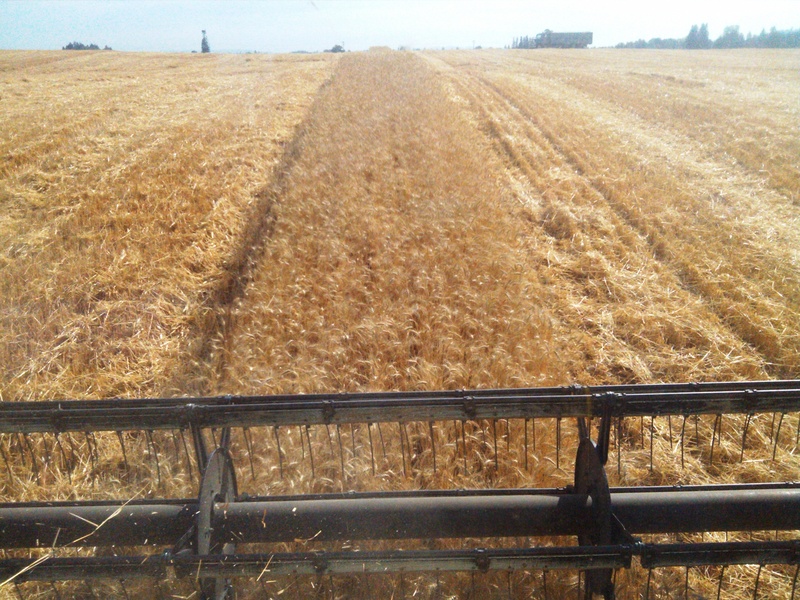 Combining wheat is always a little more fun than ryegrass I think. 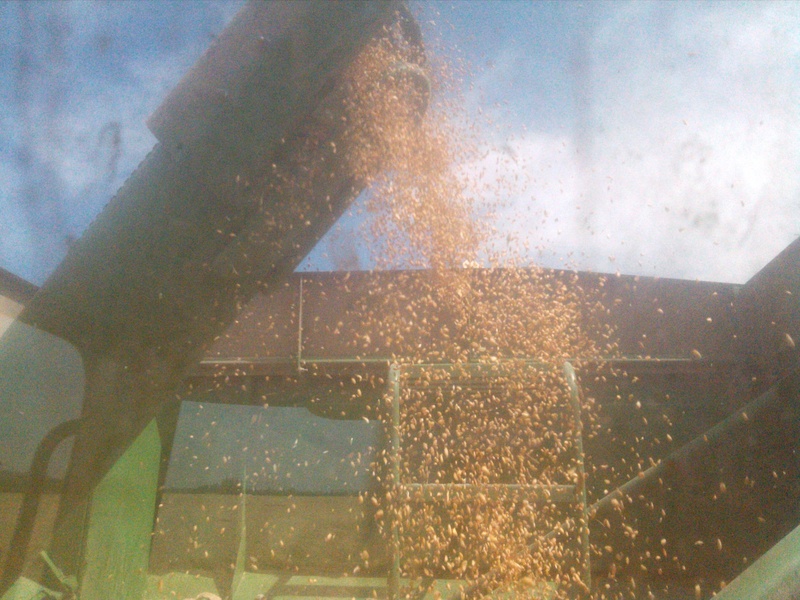 Mostly because you get to cut while you combine. 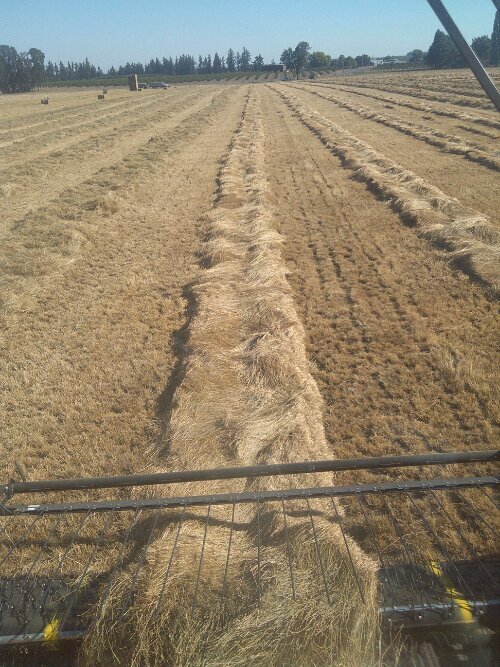 In perennial ryegrass we have to swath at night, wait a week, then combine the already cut rows that look like this. 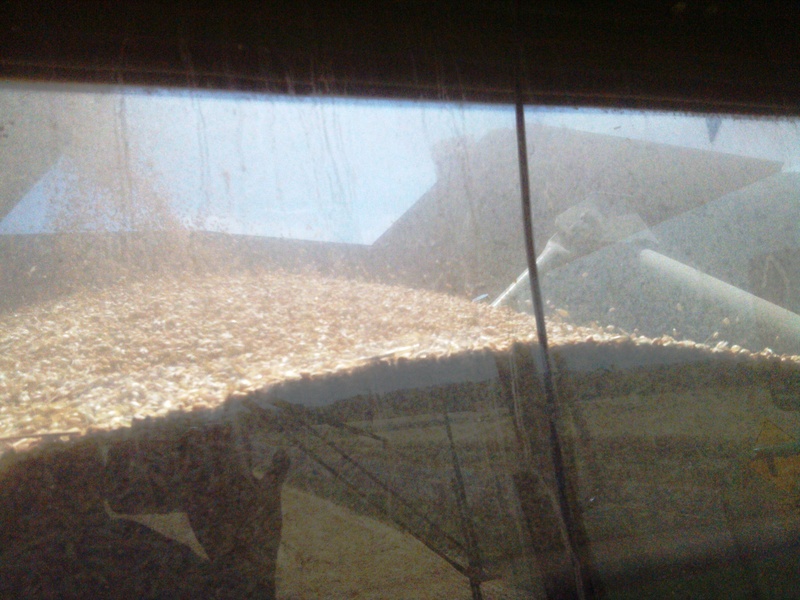 While in the cab you can look ta see the quality of the wheat that you’re combining by just looking through the window at the rear of the cab. 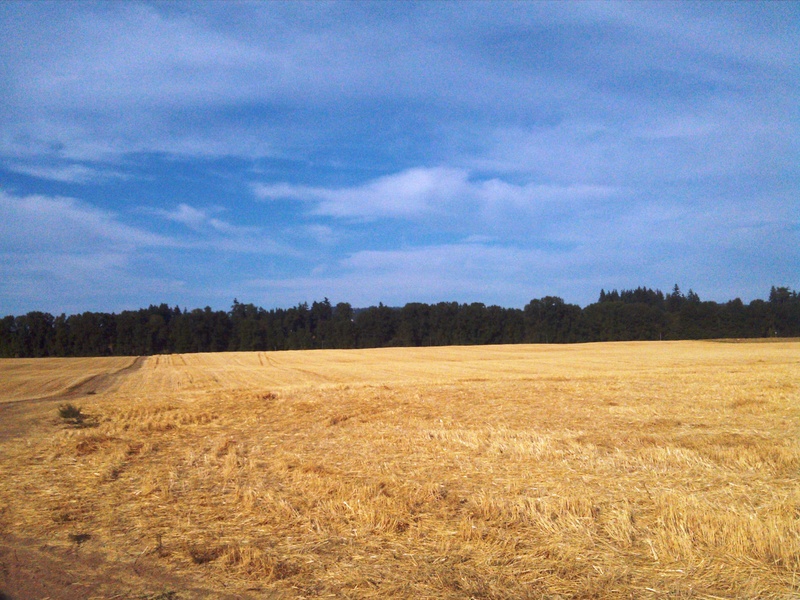 Here’s a picture of the final “Mohawk” I like to call it of wheat in our field. 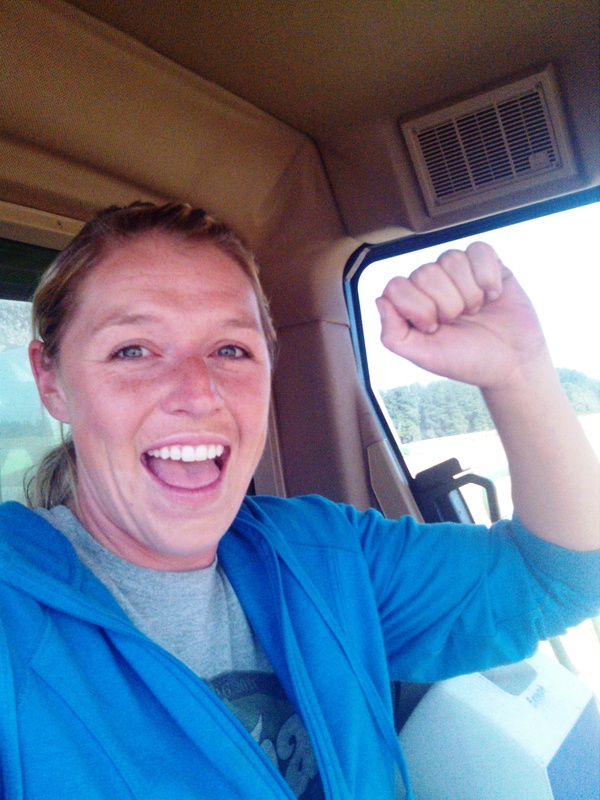 And here’s one of how I felt when we were finally done! 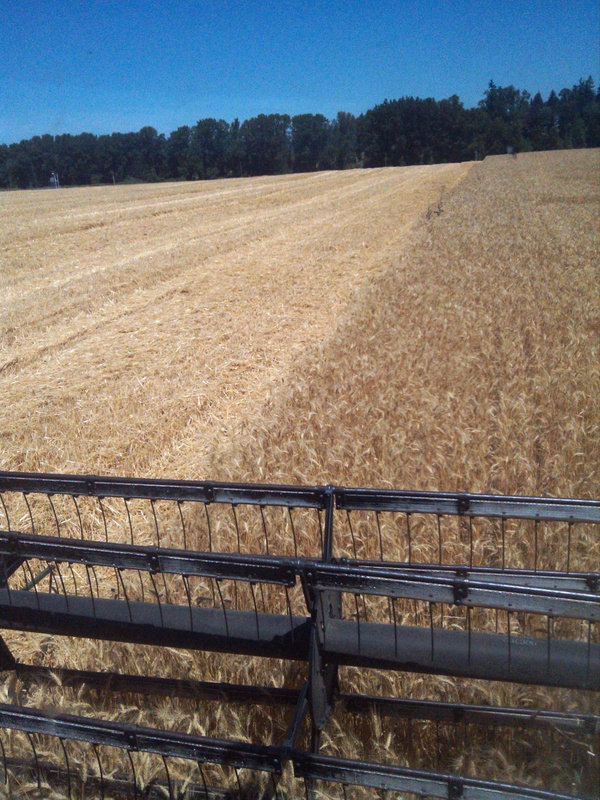 A finished up wheat field, time to head for the barn!